With a shiny garnet color, the Bank of America® Cash Rewards credit card isn't just a pretty face. Its best feature is that it allows you to maximize your cash back rewards in the category of your choice. And there are a lot of categories from which to choose: gas, online shopping, dining, travel, drug stores or home improvement/furnishings. The rewards rates are clearly outlined, there is no annual fee, and rewards points don't expire – which means cardholders don't have to keep track of much more than when the bill is due each month. The real star power of the Bank of America® Cash Rewards Credit Card lies in its increased rewards rates for Bank of America customers. Preferred Rewards clients will earn a 25-75 percent bonus on every purchase depending upon your tier. For a little extra pizzazz, Bank of America® Cash Rewards credit card offers a nice intro perk: Cardholders can earn a $200 online cash rewards bonus after spending $1,000 within the first 90 days of opening the card. The low spending total to qualify for the bonus is appealing; many cash rewards cards require at least $3,000 of purchases within the first three months to claim the welcome bonus. Maximize your cash back in the category of your choice: gas, online shopping, dining, travel, drug stores, or home improvement/furnishings. Now earn 3% cash back in your choice category and 2% at grocery stores and wholesale clubs (up to $2,500 in combined choice category/grocery store/wholesale club quarterly purchases), and unlimited 1% on all other purchases. Earn a $200 online cash back bonus after you spend $1,000 in purchases in the first 90 days after account opening. This offer is very competitive, but earning additional bonus cash back (25-75 percent more on each purchase) is reserved for those who are Preferred Rewards clients. We love that cardholders have the opportunity to redeem their rewards directly into their eligible Bank of America savings or checking account. Adding rewards points into a savings account where you can earn additional interest is a prime example of smart credit card use. Plus, the flexibility to decide where you'll earn your top rewards is really a rarity in the credit card space. Don't miss out! Bank of America® Cash Rewards credit card is a totally straightforward credit card. There is no annual fee, rewards points don’t expire, and the categories don’t rotate unles you want them to. The simplicity makes it easy to earn rewards and redeem them on your own terms. For a credit card that doesn’t charge an annual fee the overall benefits are more substantial than you might think. In addition to the high rewards rates and the intro APR for balance transfers and purchases, cardholders also have access to many of the perks a Bank of America customer receives: ShopSafe®, overdraft protection and access to Bank of America financial centers and ATMS, to name a few. And while we don't recommend the use of cash advances except for real emergencies, your card does arrive ready to use with a PIN, which allows you to take out cash from ATMs worldwide. While this is something that can come handy in a crunch, keep in mind that ATM withdrawals are Bank Cash Advances and subject to a different APR than other types of transactions. The cash-back rewards cap each quarter at $2,500 for the highest reward categories. If you think you’ll spend above this rate combined on your choice category, grocery and wholesale club purchases, and you have excellent credit, there are cash-back cards with higher reward rates (though, as mentioned earlier, you'll likley hae trouble finding one that offers you the option to choose your category). Additionally, the Bank of America® Cash Rewards credit card does charge a 3% foreign transaction fee for your purchases made abroad; consequently, this is not the ideal card for international travel. These two cards showcase a couple of similar features, but, importantly their reward structures are vastly different. Let's look at the similarities. 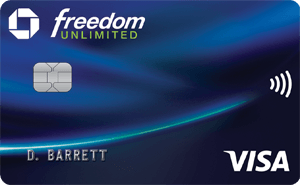 Chase Freedom® offers new cardholders a $150 cash-back bonus after spending $500 on the new card within three months, which is less than Bank of America card offers, but for a lesser spending threshold. Neither card charges an annual fee, but both charge a 3 percent foreign transaction fee on your purchases while abroad. Now for the differences: The primary difference between these two cash back cards is the structure of categories. Chase Freedom® offers 5 percent cash back when you activate on up to $1,500 spent in combined purchases in bonus categories that rotate each quarter. The differing quarterly categories could make the decision between which card is best for each cardholder. Sure, you earn a higher percentage back with the Chase card, but you don't get to select the category. You'll have to decide how much agency you want when it comes to your rewards earning power. Though the Capital One® Savor® Cash Rewards Credit Card has a $95 annual fee (waived the first year), if you'd prefer to go with a credit card that doesn't mess with rotating categories or spending caps, even with the annual fee, this card is a smart option to consider. The rewards structure with the Capital One® Savor® Cash Rewards Credit Card is simple: earn unlimited four percent cash back on dining and entertainment purchases, two percent at grocery stores, and one percent on all other purchases. There's also a really decent sign up bonus that helps offset the cost of the annual fee: new cardholders can earn a $500 cash bonus once spending $3,000 with the card within the first three months of account membership. If you can't stand the idea of paying an annual fee, you could consider the Capital One® Savor® Cash Rewards Credit Card's sister, the Capital One® SavorOne℠ Cash Rewards Credit Card, instead. This card has no annual fee and offers unlimited three percent cash back on dining and entertainment purchases, two percent at the grocery store, and one percent on all other purchases, plus a sign up bonus of $150 once spending $500 in the first three months. 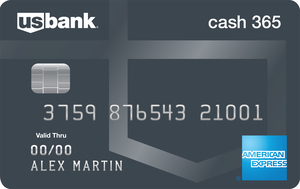 The Blue Cash Preferred® Card from American Express (American Express is a CardRatings advertiser) offers a higher rewards rate for supermarket and gas purchases (terms apply. See Rates and Fees). The rewards break down to 6 percent on U.S. supermarket purchases (up to $6,000 spent annually, then 1 percent), 3 percent back at U.S. gas stations and 1 percent back on all other purchases. But the Blue Cash Preferred® Card from American Express has a $95 annual fee and the Bank of America® Cash Rewards credit card does not have an annual fee. If you are a light credit card user you may not spend enough to offset the annual fee assessed by the American Express card, giving the Bank of America® Cash Rewards credit card card a leg up. Who Should Get the Bank of America® Cash Rewards credit card? This card is great for cardholders with good to excellent credit who spend often at grocery stores and wholesale clubs and appreciate the flexibility to choose where they'll earn top rewards. Bank of America® Cash Rewards credit card is also a sweet deal for Bank of America Preferred Rewards clients who earn additional cash back on every purchase. To see the rates and fees for the Blue Cash Preferred® Card from American Express please visit the following link: See Rates and Fees.